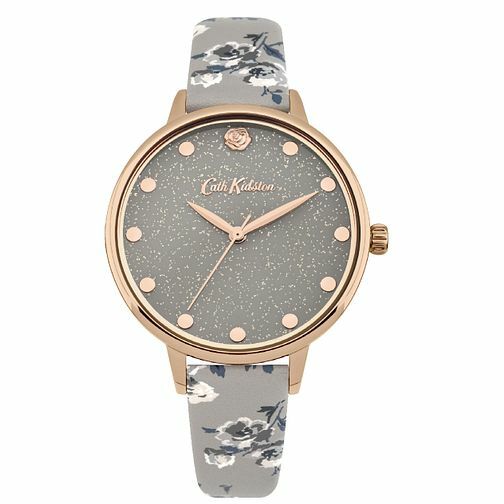 This Cath Kidston ladies' watch features an elegant 36mm rose gold case with a pretty rose gold and warm grey glitter dial on grey and printed island bunch polyurethane leather strap. 3 ATM. 24 months international warranty.